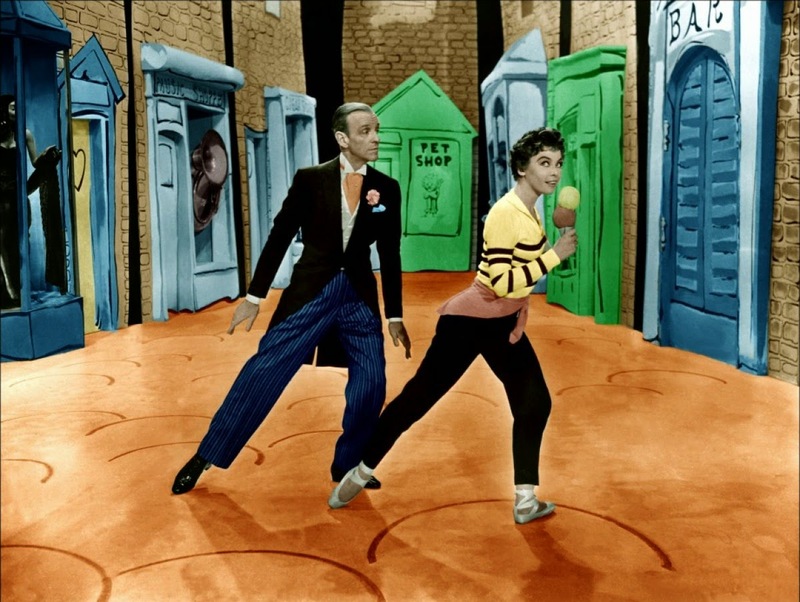 A humdrum musical, Daddy Long Legs benefits from a radiant Leslie Caron but cannot overcome the age difference between her and co-star Fred Astaire. While on a trip to France, wealthy American businessman and bon vivant Jervis Pendleton III (Astaire) spots Julie Andre (Caron) at an orphanage for girls. Falling in love with her at a distance, Jervis decides to help Julie without her knowledge. With assistance from US Ambassador Alexander Williamson ((Larry Keating), Jervis arranges to sponsor Julie's education at a college in New England. When some of the orphans spot Jervis' long shadow, Julie nicknames her mysterious benefactor "Daddy Long Legs". Julie relocates to the US and enjoys her college education, but never receives any responses to the letters she writes to her sponsor. Jervis arranges to meet her under the guise of being her roommate's uncle. But when the relationship between them becomes serious, Ambassador Williamson raises the threat of a scandal, Jervis breaks off the romance to travel the world, and Julie is left heartbroken and wondering if he will come back to her. With the studio system dissolving and the popularity of musicals waning, Astaire was cast adrift by MGM. He landed at 20th Century Fox for Daddy Long Legs, and while all the usual pieces are assembled to try and create the typical joyful experience and some moments do work, the overall fit is just the wrong side of awkward. Director Jean Negulesco is average at best when it comes to musicals, the CinemaScope format works against any intimacy, the running time of over two hours drags unnecessarily, many of the musical numbers border on forgettable, and the attempts at humour are more flat than fizzy. The by now obligatory long ballet sequence towards the end highlights Caron's talent and features some childishly good set designs, and in general Daddy Long Legs is always better when Caron is on the screen. At 24 years of age, she brings vitality and enthusiasm that are sorely missing from the rest of the film. In contrast Astaire is surrounded by stodgy assistants Griggs (Fred Clark) and Alicia (Thelma Ritter). They are sometimes funny, but they also raise the average age and lower the overall energy level. Although it tries hard, Daddy Long Legs cannot shake the icky central premise of a 55 year old Astaire lusting after Caron. This is a bad example of an actor desperately trying to remain credible as a romantic lead, but creating a bad taste in the mouth instead. It goes without saying that the chemistry never materializes. Despite the shortcomings, this is a Fred Astaire musical, and there are some definitely enjoyable highlights, bursting with colour. Sluefoot is the one standout musical number, Astair and Caron shining on the dance floor in a smooth and angular jazzy duet, while the Something's Gotta Give sequence is the one example of the romance almost finding a spark. Daddy Long Legs may lack the standout quality of the best 1950s musicals, but it does stride over the fence into respectable territory.